The Carbonari were one of the many secret societies that proliferated in the years after the French Revolution, and especially after the Bourbon Restoration. Indeed, the secret societies and the fears of secret conspiracies were skillfully exploited by legitimist governments after 1814 to justify often extreme measures of political repression and the curtailment of individual liberties. Since the numbers of the secret societies and the often impossible actions attributed to them were deliberately exaggerated as much by their supporters as by opponents, it is often still difficult to distinguish fact from fiction. But the secret societies existed, among them the Carbonari, which were prominent and especially prolific in southern Italy. Like nearly all the other secret societies, the Carbonarist lodges were modeled on the freemasonic lodges that had spread widely in Europe in the late eighteenth century and were officially promoted throughout Napoleon’s empire (1804–1814/15). As opposition to French imperialism grew, however, the secret societies offered the emperor’s opponents a less visible alternative to freemasonry. The first references to the Carbonari in southern Italy came at precisely the moment when relations between Napoleon I and his brother-in-law Joachim Murat (1767–1815), were breaking down. Murat had ruled Napoleon’s satellite Kingdom of Naples since 1808, but relations with Paris deteriorated to the point that in 1811 he nearly lost his throne. As Murat’s position in the imperial enterprise weakened, he became more dependent on his Neapolitan supporters, who in turn pressed for a constitution. This became the principal political platform of the Carbonarist lodges, whose name was adopted from the Charbonnerie, an informal secret association among the charcoal burners (charbonniers) of the Jura Mountains between France and Switzerland. The name seems to have been taken at random by a group of French officers, hostile to Napoleon, whose regiment took part in the conquest of southern Italy in 1806. 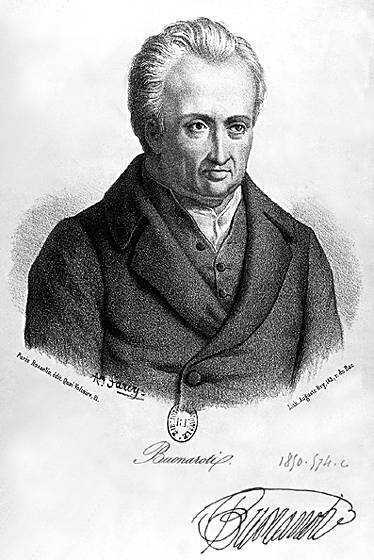 One of the first Carbonarist lodges was founded in Calabria by Pierre-Joseph Briot, a senior French official who was also an unreconstructed Jacobin and a longtime opponent of Bonaparte’s dictatorship. The Carbonarists had adopted two alternative political projects. One was the constitution conceded by the king of Spain to the Cortes (legislative assembly) of Cadiz in 1812, and the other was the very different constitution that the British had imposed on Sicily in the same year. Support for these demands spread quickly, and an insurrection in the Abruzzi in 1813 revealed strong support in the army as well. The government immediately banned the Carbonarist lodges, and in Milan, Napoleon’s viceroy Euge`ne Beauharnais did the same. But when in 1814 Murat defected from the empire, on three separate occasions his generals demanded a constitution as the condition for their support. In southern Italy the Carbonarist lodges played an important role in the transition of power after the fall of Napoleon and Murat and the restoration of the Bourbon monarchy in 1815. Their great hope was that the Bourbons would extend the Sicilian constitution to the whole kingdom, but instead it was abolished. As a result, the lodges began to spread both on the mainland and now also in Sicily much to the alarm of the authorities. Those fears were shared more widely as numerous new and old secret societies began to appear all over Europe. They had a bewildering panoply of names and projects: the Adelfi, the Decisi, the Perfect Sublime Masters, the Calderai, to name only a few. Some supported the legitimist restorations, others opposed them, and others had their own projects, like the Russian Decembrists, the Polish Patriotic Society, and the Greek Hetaira Philike´. A growing source of public alarm, the presence of these conspiracies, real or imagined, provided the authorities with pretexts for draconian public security measures, whereas for an inveterate conspirator like Filippo Michele Buonarroti (1761– 1837), a conspirator in the 1796 ‘‘Conspiracy of Equals’’ in Paris and now in the safety of Geneva, these fears gave substance to a revolutionary threat that he knew did not exist but dearly wanted to create. In southern Italy the Bourbon government was paralyzed by its fear of the Carbonari. The fears grew when an insurrection at Macerata in the Papal State in 1817 was attributed to the Carbonari, but in Naples the generals reported that the lodges were too many and too powerful for a frontal attack. When the Spanish revolution took place in January 1820, southern Italy at first seemed calm. But when a protest began in the cavalry barracks at Nola at the beginning of July, within days the protest spread to other regiments. Faced with a general mutiny the monarchy was forced to concede the Spanish constitution. The revolutions in Naples and Sicily in 1820 succeeded because the constitutional program had overwhelming support in the army, but there is strong evidence to suggest that they were planned in the Carbonarist lodges, where the constitutional project was prepared and which during the nine months of constitutional government played an important role in maintaining order. But it was hardly surprising that the Carbonarist revolution in Naples and Sicily rang fresh alarms through Restoration Europe and many now claimed that the secret societies were the invisible hand that linked the revolutions in Spain, Naples, and Sicily to the Cato Street conspiracy in London, the murder of the duc de Berri in France and of the journalist August von Kotzebue in Germany in 1819, which was the immediate pretext for the draconian Carlsbad Decrees. In November, Prince Clemens von Metternich (1773–1859) summoned the European rulers to meet at Troppau in October to coordinate action against the forces of revolution. During the meeting, when the tsar, Alexander I, was informed of a mutiny in one of the St. Petersburg regiments, he immediately detected the work of the secret societies. With the willing complicity of the king of Naples, an Austrian army was dispatched to southern Italy in March 1821, and the revolutions were crushed. The Carbonarist lodges were closed, and their members arrested or placed under police surveillance, dismissed from public office, and banned from the professions. According to Metternich, the Carbonari were ‘‘prelates, priests and citizens of distinguished rank.’’ In fact, they also included many artisans and lesser landowners, but overwhelmingly the Carbonarist lodges gave political voices for the first time to the provincial gentry, of which they were now deprived. However, the police records also show that their numbers were much smaller than the authorities liked to believe, and their suppression served primarily to justify political purges that extended to the entire army, public officials, and the clergy. Despite the defeat of the revolutions in Naples and Sicily, elsewhere in Europe fear of the secret societies now reached a peak. In December 1821 the Carbonari were banned by the pope, but the discovery of plans by a French Charbonnerie to stage revolts in Belfort and Saumur in December 1821 caused new alarms that were exacerbated when four sergeants who were put on trial at La Rochelle for complicity refused to divulge any information. By 1824 the panic was subsiding, Europe was not in flames, and Metternich decided that the threat had been grossly exaggerated all along. By now the revolutionaries were also losing patience, and the failed insurrections that took place in the Papal State in 1831 were the last strike of the Carbonari. A year later Giuseppe Mazzini (1805–1872) founded Young Italy, the revolutionary society that explicitly rejected the tradition of secret conspiracy. Mazzini had begun his career as a member of the Carbonari in Genoa, but now he called on Italian revolutionaries to declare themselves openly and to proselytize the young to the national cause, accusing the Carbonari of adhering to the revolutionary strategies of the French Jacobins that he believed to be outdated and unworkable. The Carbonari now disappeared as quickly as they had materialized. Under attack from the revolutionaries and under growing pressure from the police, the secret societies came to be seen as anachronistic. Former Carbonarists found new berths in a variety of political movements, some more some less militant, while others reverted to mainstream freemasonry. In France, for example, the Charbonnerie made a brief reappearance during the July Revolution in 1830 but were subsequently absorbed into the republican movement. However, while the political threat they posed was certainly exaggerated, the Carbonari and other secret societies enabled European governments to impose even tighter controls—over the press and public associations but also on army officers, public servants, the clergy, and the independent professions—that remained in force down to 1848, and in many cases well beyond. BIBLIOGRAPHY Davis, J. A. Naples and Napoleon: Reform, Revolution, and Empire in Southern Italy, 1750–1820. Oxford, U.K., forthcoming. Roberts, John Morris. The Mythology of the Secret Societies. New York, 1972. Spitzer, Alan B. Old Hatreds and Young Hopes: The French Carbonari against the Bourbon Restoration. Cambridge, Mass., 1971.